We’ve all seen those giant party subs. The ones that look like a single loooong sandwich stuffed with all sorts of delicious deli meats, cheese and condiments. Then they’re cut into small slices for sharing. They’re the kind of thing you order for big social gatherings like football parties or family reunions. You can actually make your own completely custom version at home with little effort and for a better value. 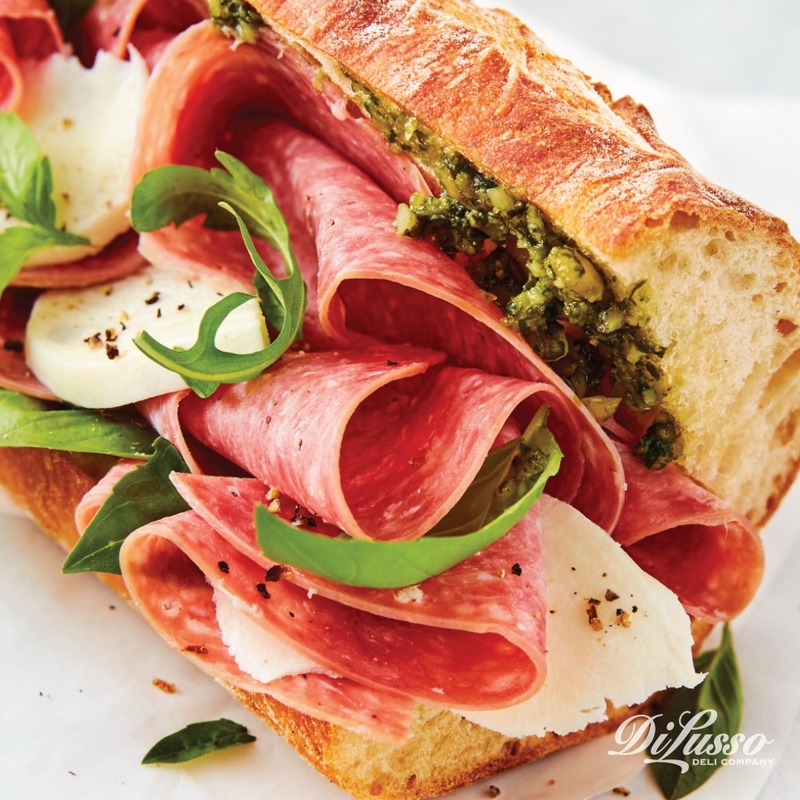 Instead of buying one party sub with all of the same ingredients, you can build one that combines different sandwich styles and caters to your guests’ preferences. To help save you some time, we made this step by step guide that includes our best building tips and recipes. This way you don’t have to learn by trial and error (like we did). How many people will be partaking? How hungry will your guests likely be? Is the sandwich going to be the main course? Or are you serving it as an appetizer? Use your answers to those questions to gauge how many sandwiches you’ll need to make. For reference, one soft Italian baguette (about 16 inches long) filled with ingredients feeds about 4 people as a meal and about 8 people as an appetizer. To make this as simple as possible, you can use the same sandwich ingredients on all of your baguettes. Or you can switch it up and use different ingredients on each baguette to include a greater variety and appeal to more people. Here are a few recipes that work well in a sub-style build. Turns out, it’s actually pretty easy being green…and delicious. This guac-lover’s dream is layered with our semi-sweet applewood smoked chicken and roasted red pepper strips plus pesto, arugula and feta cheese. And of course, guac. Tip: avoid soggy bread by layering guacamole between the chicken and lettuce. With just a handful of ingredients, this Italian classic packs a whole lot of flavor. 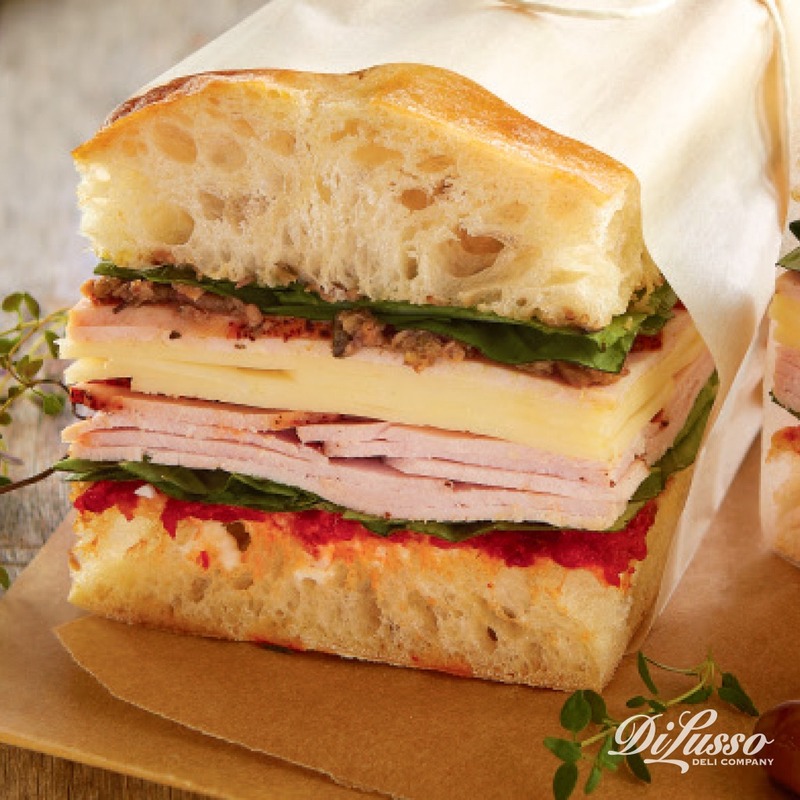 It does a nice job balancing classic sandwich ingredients like our sun-dried tomato turkey and provolone with more unconventional condiments like a sweet pepper spread and olive tapenade. This is one your guests won’t be expecting, but will be glad you included. 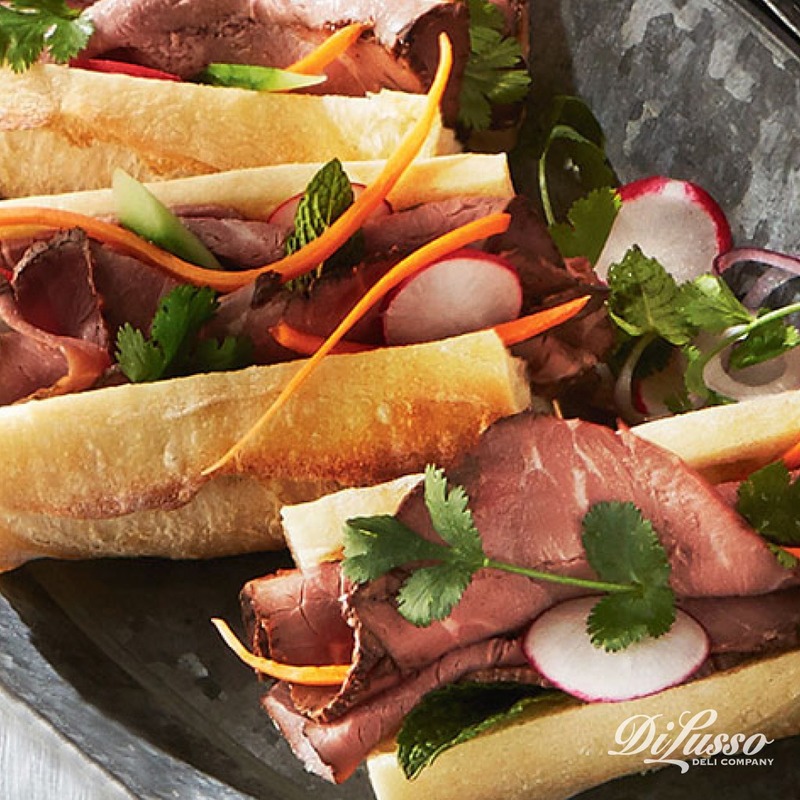 It has a great blend of flavors – crisp veggies, our seasoned rare roast beef and spicy peanut sauce. Plus a few fresh herbs thrown in for good measure. Tip: drizzle the peanut sauce right before guests arrive so you get the most flavor possible and avoid making the bread soggy. Let’s not forget about the salami. It might be a less conventional party sub ingredient but none the less a perfect fit because of its unique spiced flavor. It tastes especially rich when layered alongside thick slices of mozzarella, fresh arugula and fragrant basil. An oldie but a goodie. It’s always nice to have a more conventional option available that will appeal to a lot of different appetites, especially if you’ll have younger kids around. Tip: for a little bit of added flavor, try adding a condiment like our chipotle mustard (if you want to bring the heat), our garlic aioli, mayo or even ranch dressing. First things first – cut the rounded ends off your baguettes. Then slice baguettes in half the long way so they hinge open. Now you can pile the ingredients onto your baguettes. To avoid soggy bread, loose ingredients and other sandwich mishaps, check out our sandwich building tips here. Take your fully assembled sandwiches and place them where you plan to serve them. To get the appearance of one giant sandwich, arrange the baguettes so the cut ends are flush with each other. Tip: make sure you have enough table space before transplanting. You’re probably going to need 1 ½ - 2 feet of space per baguette. If you’re making a few different types of sandwiches, consider labeling them so guests know what they’re picking up. Make sure you have napkins or plates nearby so guests have somewhere to put their sandwich (and potentially some other goodies). Before cutting your baguettes, secure with decorative toothpicks to help keep ingredients in place. Then cut your baguettes into slices (about 2-3 inches wide) right before your guests arrive. This will help keep your ingredients nice and fresh. Make any final adjustments to your setup. Then get ready to partyyyyy!